Dafabet is one of the most reputable Asian bookmakers in the industry. Despite its cricket background, Dafabet World Cup offers and bonuses are available for soccer buffs that are looking forward to the FIFA World Cup Showdown in Russia this June. Players can access the sportsbook from all over the world, but some promotions may not be available depending on the region. Dafabet has several bonuses to its clients. 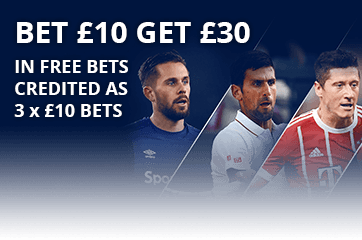 It offers free bets of up to £30 when clients lose on their first bet. Such a bonus is great for new punters who out of inexperience will place their first bet on the wrong teams during this year’s World Cup. It is also a worthy replacement for sign up bonus. The Asian bookmaker has cash back bonus called the Acca free bet. It has also lined up two other fabulous gifts for bettors during this coming World Cup. The first one is a matched free bet for wrong predictions on goal scorers. 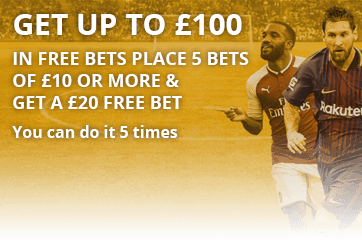 The other promotion will provide a free bet to players each time a game ends in a draw. Dafabet has had excellent welcome bonuses in the previous years. The current sign-up bonus is its £30 free bet. The bookmaker offers a free bet of up to £30 for players who lose on their first bet. It provides better security than the sign-up bonus that comes with several restrictions, especially regarding wagering requirements. There are chances of this changing as Dafabet FIFA World Cup betting offers roll in later in the year. No deposit free bet is currently out of most sportsbooks’ list of incentives, and Dafabet is not excluded. Again, it would be ironical for a bookmaker to provide a no-deposit bonus while not offering a sign up one. However, this is by no means a sign of stinginess on the operator’s part. Professional punters understand that the omission indicates two facts: First, the bookmaker has proven reliability and hence does not need to entice customers to its services. Second, Dafabet focuses more on providing quality for the players’ money instead of enticing through empty offers. Create an account on the bookmaker’s website. Deposit at least £10, preferably using a debit or credit card. Place the first bet of at least ££5. If the bet loses, Dafabet credits the full stake back to the player’s account as a free bet. That is if one places a bet of £15 and misses, the bonus awarded is a free bet worth £15 not real money. The maximum amount of the bonus is £30. A player does not have to claim the bonus. Dafabet automatically credits it to the players account within 24 hours of losing their first bet. The qualifying bet must be at least ££5. The odds of the qualifying bets must be 1.50 and above. For multiple bets, the total odds must be higher than 1.50. Players who made deposits through Skrill are ineligible for this bonus. Dafabet will match the qualifying bet to a maximum of £30 free bet if it does not win. It means that, if a player places a bet of £40 and loses, the player is only awarded a free bet of £30. Dafabet automatically awards the free to the player’s account within 24 hours. Good advice to players who will be using Dafabet in the coming months is to ‘opt-in’ to the bookmaker’s email list. The operator regularly updates its offers and customers on their mailing list enjoy the privilege of being the first to know. There is no evidence that Dafabet used bonus codes in the past and none was present at the time of this writing. Most of the bonuses provided by the bookmaker are awarded automatically after meeting the specific requirements. However, it is unknown whether the bookmaker will introduce bonus codes during the World Cup. Dafabet has shifted the focus of its promotions and offers away from it main sports market, cricket, to soccer in preparation for June. It has three fantastic promotions that punters should take advantage of this upcoming World Cup. Dafabet promises to refund players their stakes on accumulator bets. To earn this bonus, a player should make not less than six selected accumulator bets on the football market. The player will receive a refund if one of the selections lose. It is a creative bonus, which rewards the bettors if their goal scorer of choice fails to score the first goal but scores the second one. A punter places a bet of at least £1 on a favourite player to score the first goal. Dafabet matches the stake with a free bet for up to £50 if the player scores the second goal instead of the first. Ever heard of a bonus for losing on a total scores bet? Here is one. Dafabet allows bettors to predict the final scores or half-time scores. If at the end of the game the match ends in a draw, the bookmaker matches the losing bet with a free bet of up to £50.